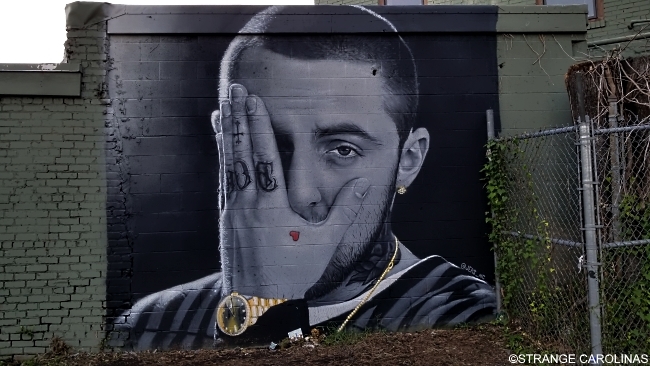 This tribute to rapper Mac Miller was created by Greensboro artist JEKS. During the short time we visited, three groups of people came by the mural to admire it and pay their respects to Miller. 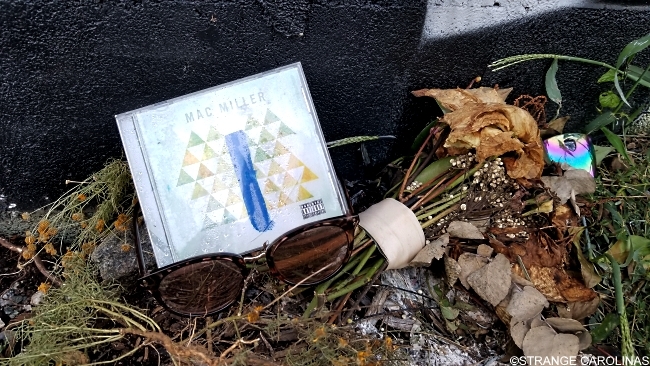 Someone had even made a makeshift shrine at the mural's base. If you or someone you love is struggling with suicidal thoughts, please contact the National Suicide Prevention Hotline at 800.273.8255.